The time has come for a revolution! We get only ONE BODY in this life, and we better start loving it. Stop trying to achieve perfection, and reach for healthy. Stop judging yourself because you ate the dessert. Stop hating your body for not looking like the ones you see on the TV. Start loving your body for all that it is, and all that it does. When you move into that space of appreciation and love, your body will respond. Hate creates a vicious cycle of constriction, of holding on to old patterns….whereas love creates openness, awareness, movement & freedom. Allow yourself to love your body today, no matter what you thought about it five minutes ago. Your body deserves it. How many of us can honestly look at our body with love and admiration? How many of us can think upon our body with gratitude for the absolute miracle that it is? How many of us can gain few pounds without falling into despair and tormenting ourselves for failing, yet again, to meet the impossible standards of “perfection” as outlined by our society? How many of us take as few as two minutes a day to marvel at what this body we are walking around in is doing to support our journey on this earth, in this lifetime? Can you take two minutes to consider this right now? Think about the 72 trillion cells you have, all in various stages of birth, death and rebirth – moving, dancing, creating, vibrating to keep you alive and thriving. Think about your organs – your heart keeps pumping without any input from you about it what-so-ever. Your lungs take in oxygen with each inhalation, and exhale carbon dioxide all by themselves – unless you are consciously practicing pranayam. Your digestive system takes in food, converts it to energy, stores some as fat in case you need it later, and is perfectly created to expel what is not needed from your diet. Your muscles expand and contract, firing as needed to keep you upright, walking, talking, eating, breathing, running, dancing – you name it – your muscles are there to support you in your activity. Your brain takes in information and processes it faster than any computer ever built – and at the same time, constantly sends signals and chemical messengers to the rest of your body so that it keeps breathing and pumping and moving. Every tissue, every organ, and every system of our body is a MIRACLE!!! Think about this with SO MUCH GRATITUDE in your heart to the creator for giving you this miraculous body to move around in on this earth. It’s so beautiful! Our bodies all function in the same way, and have the same parts, but think about the infinite varieties that we show up in! No one on this planet has a body just like yours. Whether you are at your perfect weight or far from it – whether you are physically fit or not – whether you like what you see when you look in the mirror or not, YOUR BODY DESERVES YOUR LOVE & GRATITUDE! Unfortunately, most of us disdain what we see when we look in the mirror. We are programmed from birth with every magazine, television show and movie that tries to convince us what beautiful is…never mind the fact that this version of beautiful is an illusion only achievable with makeup, photoshop, and impossibly unhealthy diets and lifestyles. 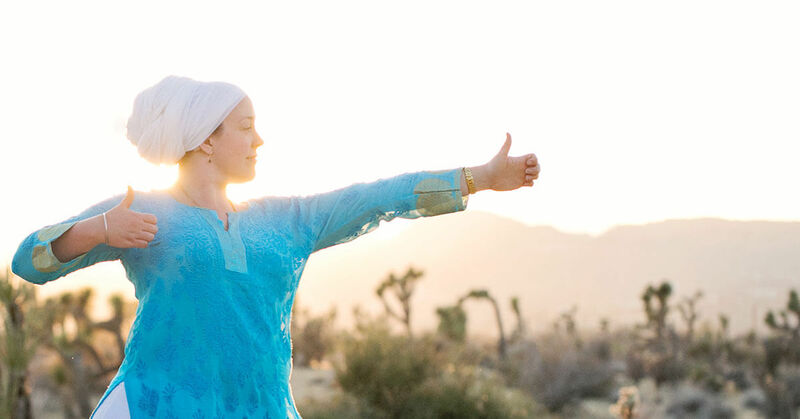 We are so fortunate to have the teachings of Kundalini Yoga as taught by Yogi Bhajan to bring awareness to our lives. Let’s take the awareness of how we are currently interacting with our bodies and allow something within us to shift. Allow gratitude and love to wash over you and erase all the stories you have told yourself about losing those last 5 pounds and replace them with “My body is a miraculous machine, and I am grateful for everything it does to keep me alive & healthy on my journey through life.” It’s time. Love yourself, love your soul, love your life, and love your body! 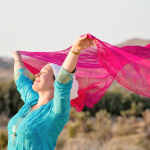 Ramdesh Kaur is on a mission to transform our relationships with our bodies. She knows first hand the destruction we can cause ourselves when we refuse to see our bodies as the temples that they are. 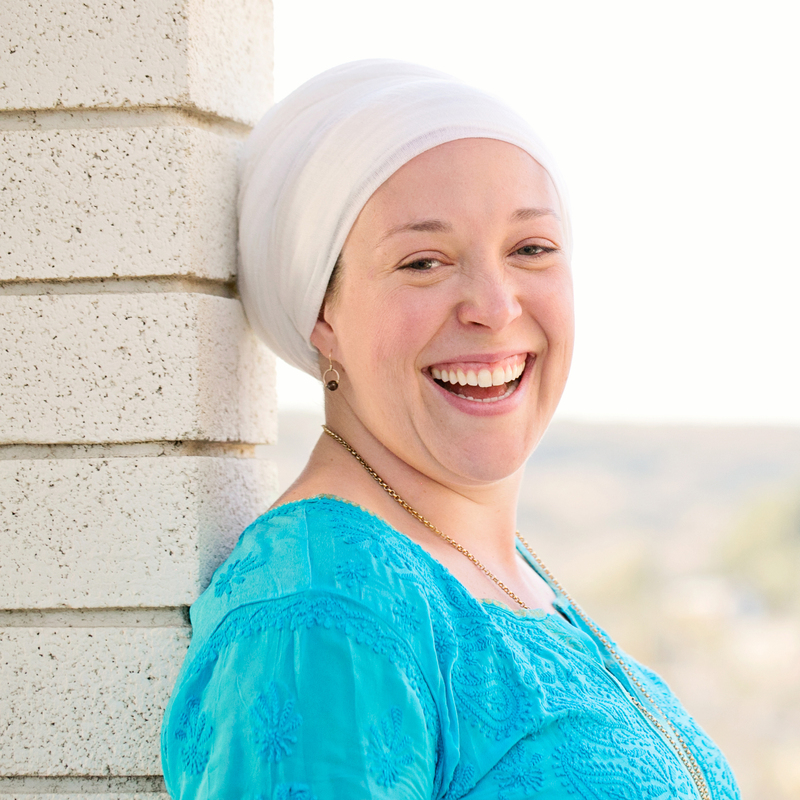 Having gone through her own process of healing and love, she is now committed to helping others do the same. She has created a series of tools to support the journey to self-love. If you have struggled to love your own body, been crippled by feelings of low self-esteem and self-worth or battled an eating disorder, this book is a gift to heal you and your sense of self. A book for both the total beginner and the advanced yogi, The Body Temple: Kundalini Yoga for Body Acceptance, Eating Disorders, and Radical Self-Love walks you through a nurturing practice of yoga, meditation, mantra, and miracles. Yogic techniques to reset your body’s systems and restore your health and well being. 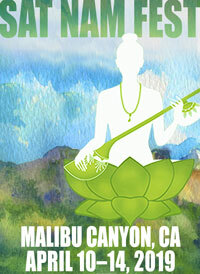 A daily practice to help change your life and begin your healing journey. 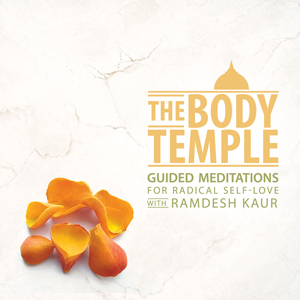 The CD: The Body Temple: Guided Meditations For Radical Self-Love Known for her gentle yet powerfully soothing voice, Ramdesh Kaur guides these beautiful meditations to allow you to heal your relationship with your body, align your self-image in Truth, and fall in love with yourself like never before. With Delta Wave music and binaural beats to enhance the power of the meditations, this CD will take you on a journey of healing, allowing you to love and accept yourself fully, and embrace your body as the temple that it truly is. Loved the article. Amazing timing for me in my journey to love myself and heal myself. Thank you Ramdesh Kaur for such wise words and for this amazing journey you are embarking now .